Thank you for a great NI Week 2017! 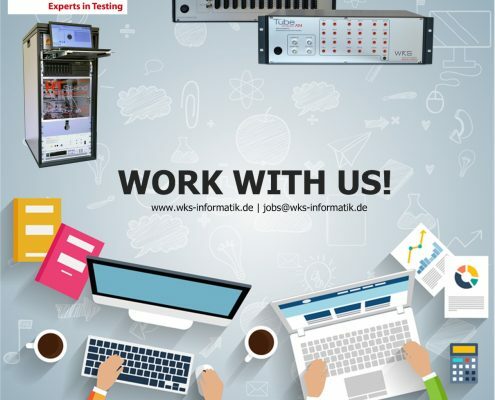 http://www.wks-informatik.de/wp-content/uploads/2017/06/image3.jpg 2267 4032 WKSInformatik http://www.wks-informatik.de/wp-content/uploads/2018/05/wks-logo_500px-300x123.png WKSInformatik2017-06-03 17:58:422017-06-03 18:01:22Thank you for a great NI Week 2017! 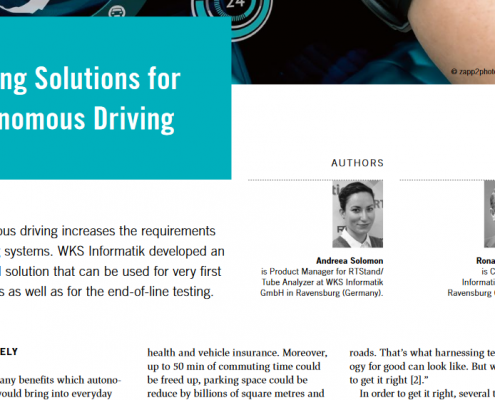 WKS Informatik GmbH supports through its RTStand HiL Platform a wide range of testing solutions for the autonomous car. 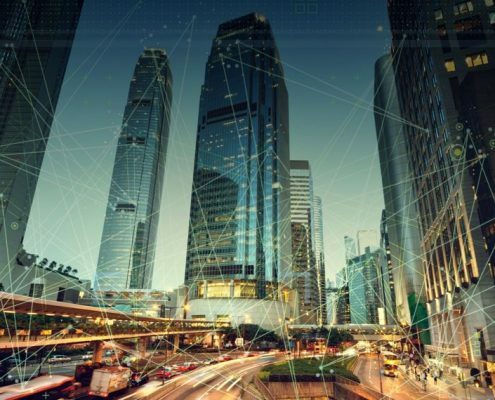 From development, over LV 124 validation, to production tests, we provide solutions for the newest autonomous driving trends. 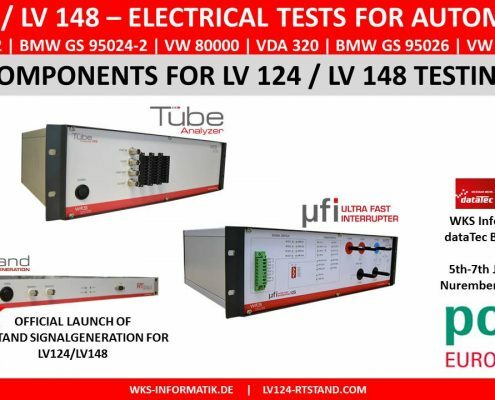 An example of a fully-automated test for LV 124, using RTStand LV 124, based on the WKS Informatik products: RTStand HiL platform, Tube Analyzer for LV 124 measurements and analysis and UFI for LV 124 switching. Learn how to build better, faster, more flexible testing systems using the RTStand, an open HiL test and simulation platform for all testing stages. Example of log data offline analysis using the RTStand Log Viewer, ensuring faster loading of big data, time-synchronized display of various RTStand/Tube Analyzer tdms files, reporting features and event search based on TestStand-like test history. Live demo of the RTStand Plugin for Industry 4.0 / Internet of Things, where testing data is plotted into various customizable dashboards, which can be accessed online from all devices, during testing. 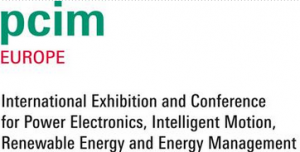 OEE (Overall Equipment Efficiency) analysis is also enabled, in order to determine the test bench performance. 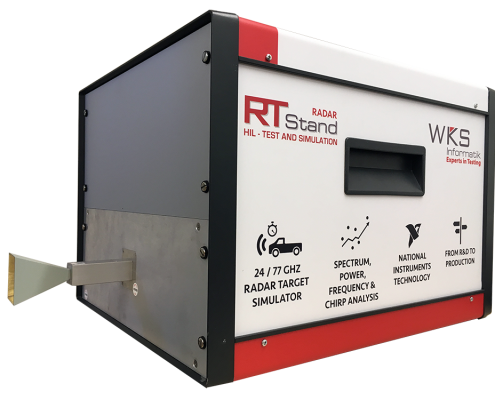 RTStand RF Analysis - Tool for Radar characterization. 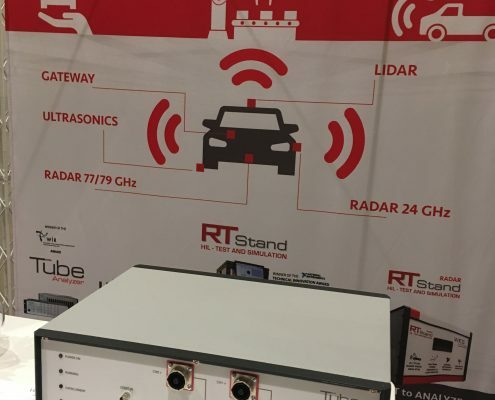 RTStand RF Analysis determines how good a Radar performs based on its chirp liniarity. 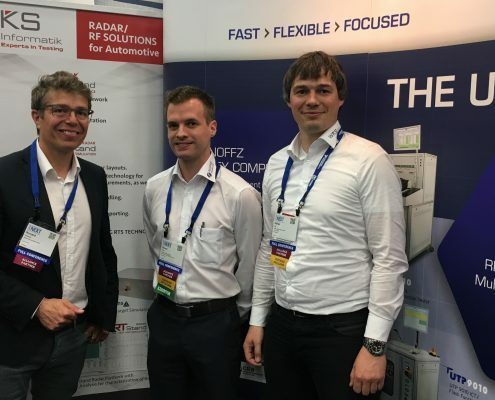 The software acquires, calculates and displays Radar information such as frequency, EIRP power, frequency deviation as well as their chirp overlays for better and faster analyis. Demo of a RTStand example project with Simulink model integration, variant handling and RTStand LogViewer. RTStand is a modular HiL testing platform based on LabVIEW, TestStand and VeriStand and is used for various automated testing purposes on all testing stages. NI TestStand sequence example of using the RTStand Custom Step Type for Restbus simulation. 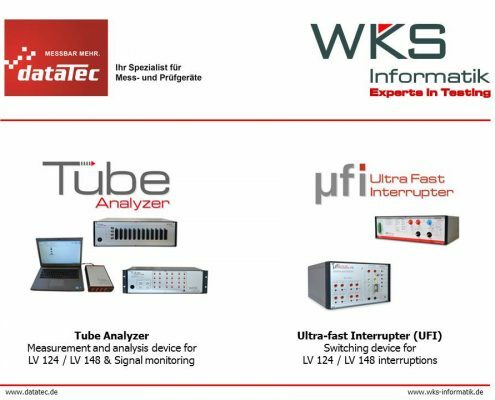 Presentation film of the Tube Analyzer for LV 124 measurement and analysis device, for the WiR Technical Innovation Award ceremony.